Last year the Research & Citizen Insight team were given the gigantic task of carrying out research into Essex Libraries, to find out what people want and need from a library service. We needed to understand our citizens’ experiences of using libraries, what they value about the service, and how we can create a library service that is fit for today and for the future. This work will help to inform a comprehensive draft strategy for the library service. 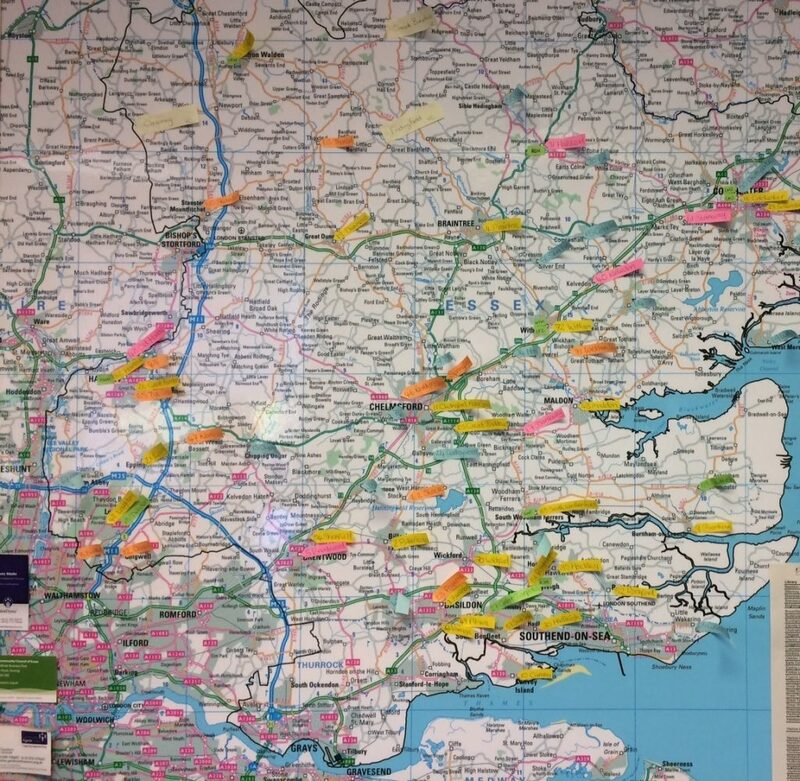 In early 2018 we began our research, starting by digging deep into our existing data, and carrying out observations and face-to-face interviews in 22 of the 74 libraries in Essex. We travelled far and wide to visit a diverse range of locations, from small seaside towns and remote rural villages, to the suburbs of towns and city centres. In total, we spoke with 273 users within libraries, having conversations about their reasons for using the service, what was most important to them, and their views on how libraries contribute to their communities. We also held focus groups with children and young people in both mainstream and special schools, to understand what they would like from a library service. On top of that, we carried out telephone interviews with library volunteers, and launched a county-wide postal survey. This survey helped us to understand the needs and views of both users and non-users on a large scale. A big thank you if you were one of the 3,000 people who took part! We were blown away by the vital role libraries play in some people’s lives; for many visiting the library is an intrinsic part of their weekly or even daily routine. People told us how important the library was to them and their communities, not just for books and learning but also for socialising, information and support, shelter, and spending quality time with their children. We produced 17 case studies as a way of bringing to life the diverse types of library users we met, their varying levels of need and reasons for using the service. This included book lovers and avid readers, older people, new parents, students, job seekers, homeless, professional workers, and people accessing a range of community services within the library space. Interested in reading more about our library users? Take a look at our case studies. We had many insightful and sometimes emotional conversations with people in libraries across the county. One of the most important points we took away was that libraries are ‘touch points’ for people in local communities. For some, popping into their local library and saying hello to the staff may be the only interaction they have that day. Some rely on it for support to look for work, or to access other services within the community. And for others the library is a goldmine of local knowledge, a place of quiet sanctuary away from a hectic home life, or a space for learning and development as a family. For a handy summary of our research and the areas of opportunity we identified, download our one-pager. We gathered an enormous amount of insight, and wanted to share our findings in an impactful way that colleagues could really engage with. We held a workshop to immerse colleagues in the stories we heard and challenge assumptions about libraries. We re-created four library settings within County Hall, based on our experiences and observations and using props, photos, quotes and case studies to demonstrate how different libraries look and feel, and the types of people you might find using them. It was great to show off our findings in different and creative ways which sparked some lively discussions on the day. Our research is now being used to inform a draft strategy for the future of the library service which has people’s needs at its’ heart. The draft is expected to be shared later in 2018 or early 2019, for residents to comment on and have their say. ''Libraries are a place for everyone to come together. They provide a safe place for people who might not have anywhere to go. Older people who are lonely at home come here to see people, read the newspaper. Homeless people come in to get warm. Young kids and families begin reading here. 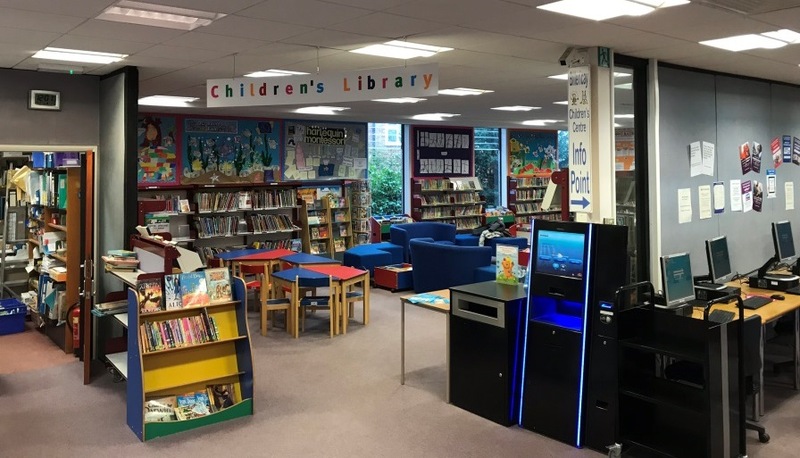 If you haven’t been to your local library in a while, why not pop in and see what it has to offer or take a look at the Essex Libraries website? The Essex Libraries consultation is now live for you to have your say on the proposals. Find out more by watching the video below. Essex Innovates or; "How we learned to stop worrying and love analytics...... Part 1"